Looking dapper, an Eastern Bluebird caught my eye on as he foraged on a mowed lawn. Before I could get him in focus he flew up to a nice perch in a Crepe Myrtle that hasn’t yet leafed out giving me a clear view. I love bluebirds. 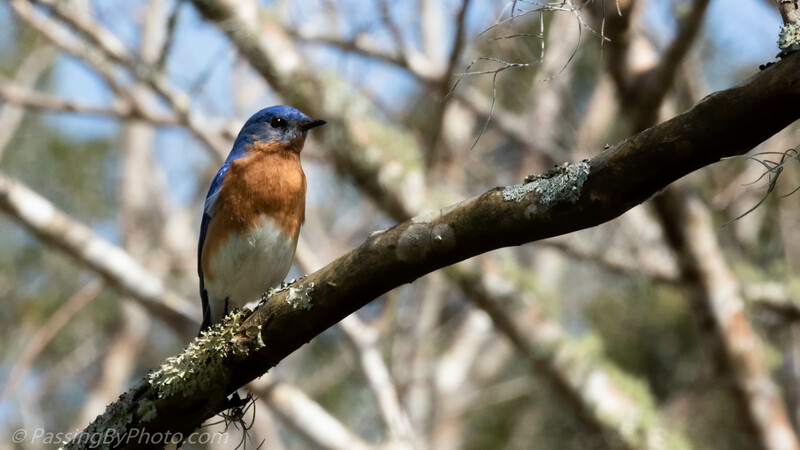 For me, they truly are the bluebirds of happiness. I always smile when I see one, Mike. What a beauty. Very nice! Thank you, Belinda. It always makes me happy to see one, even if it is fleeting.